Michelle J. Linderman is a member of Crowell & Moring’s International Trade Group in the firm’s London office. An English qualified solicitor with over 20 years of experience, Michelle advises clients – such as international businesses, traders, ship owners, charterers, insurers, financial institutions, and energy companies – on U.K.-specific and cross-border sanctions, including matters that concern national and international trade and financial sanctions. She also works closely with colleagues in the Privacy and Cybersecurity, Insurance and Reinsurance, and Litigation and Trial groups. Michelle counsels clients on compliance with EU and U.K. sanctions legislation; U.K. anti-bribery and anti-money laundering laws and regulations; the U.K. Modern Slavery Act; export controls; data privacy and cybersecurity issues. This work includes devising compliance policies and procedures; advising on enforcement and investigation proceedings; conducting internal investigations; and responding to government enquiries. Michelle also has significant experience handling complex commercial disputes including fraud for a wide cross-section of clients including ship owners, charterers, P&I insurers, traders, insurers, and others. Her experience includes handling a wide variety of disputes arising from maritime casualties; complex reinsurance and insurance litigation; fraud litigation; and general commercial litigation and arbitration. She has considerable experience in English High Court litigation and London arbitration and has also handled litigation in a number of international jurisdictions including Hong Kong, the People’s Republic of China, South Africa, New Zealand, New York, Miami, Nevis, Jersey, and Guernsey. Michelle regularly publishes articles on the impact of EU sanctions, both in traditional media and online. She also speaks at industry events on sanctions, anti-bribery, and corruption and other compliance and regulatory issues with a particular focus on the maritime and (re)insurance industries. Before joining Crowell & Moring, Michelle was a partner and the Global Head of Sanctions at Ince & Co’s London office.She was seconded to Ince & Co's Hong Kong office from 2001 to 2004. Advice to various ship owners / managers regarding compliance with sanctions; legality of proposed orders and how to protect their positions. Advising client regarding participation in LNG project in Russia and impact of sanctions on chartering and construction of vessel for the project. Advice to shipping company in relation to feeder operations and compliance with sanctions. Advising Asia-based banks on sanctions risks and potential issues during the course of ship finance transactions, including drafting and advising on appropriate sanctions clauses. Advising ship owners and managers preparing to re-enter the Iranian market on their commercial contracts and risk issues arising pending the lifting of EU sanctions and following the lifting of EU sanctions. Advising tech client on attorney-client / litigation privilege in cross-border data breach investigation. Advising tech client on interactions with U.K. National Crime Agency and other State authorities following cyber attack by foreign state actor. Advising on compliance policy and procedure best practice for various clients. Advising insurance / reinsurance companies on compliance with sanctions and devising sanctions policies and procedures. Conducting sanctions; anti-bribery and corruption; data privacy; and other compliance audits for a broad spectrum of clients. 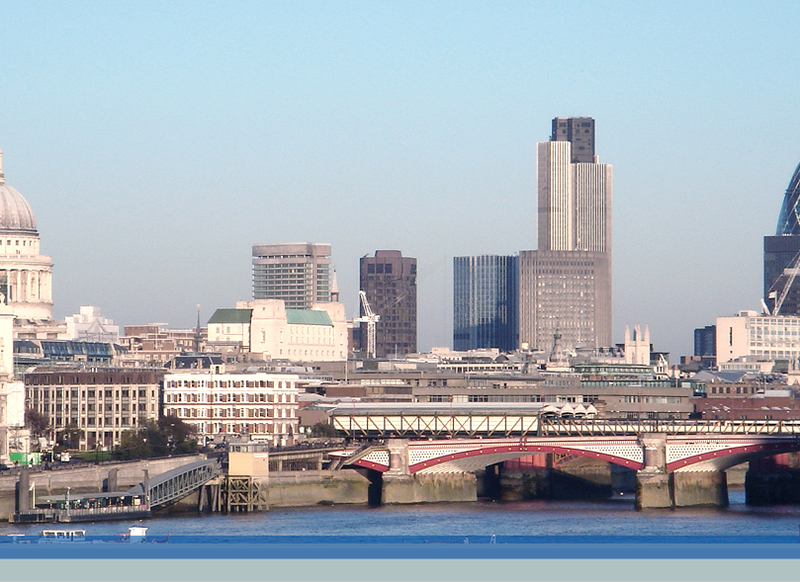 Conducting complex fraud litigation in the English High Court and other jurisdictions. Work with leading technology consultants to develop cybersecurity/data breach response initiative. Advising insurance client on potential breaches of UK Bribery Act and internal investigation in relation to same. "Economic Sanctions Update for the Airline Industry," IATA Legal Symposium 2019, Rome, Italy (March 7, 2019). Panelist: Michelle J. Linderman. "The Impact of International Sanctions on Insurance," Crowell & Moring, London (November 27, 2018). Presenters: Michelle Linderman, Cari Stinebower, Laura Foggan, and Mark Meyer. "Running Oracle on VMware? Heard About Mars vs. Oracle?" VMWorld Europe, Barcelona, Spain (November 6, 2018). Speaker: Michelle J. Linderman. "Update on U.S. Iran Sanctions and the EU Blocking Statute," Reinsurance Wordings Experts' Forum, Zurich, Switzerland (October 23, 2018). Speaker: Michelle J. Linderman. "U.S. Iran Sanctions – All Clear or Are You Confused About the EU Blocking Regulation?" Trading in and to High Risk and Complex Environments, Piraeus, Greece (October 18, 2018). Speaker: Michelle J. Linderman. "The Potential Effects of Brexit on U.K. Sanctions Law and How Compliance Officers Can Prepare For the Switch," SanctionsAlert.com Webinar (September 13, 2018). Presenter: Michelle J. Linderman. "Bribery and corruption, money laundering, and sanctions: understanding financial crime risks and their impact on shipping," 2018 MLA AGM, Franschhoek, South Africa (September 1, 2018). Presenters: Michelle J. Linderman and Cari N. Stinebower. "Supply chain risk management: blockchain, forced labor, the U.K. Modern Slavery Act, and the General Data Protection Regulation (GDPR)," Trade in 2018 - What's Ahead?, Webinar (April 19, 2018). Presenters: Michelle J. Linderman, Jeffrey L. Snyder, Maarten Stassen and Aaron Marx. "Europe: Brexit, the EU’s 4th AML Directive, and the EU/U.K. AML enforcement," Trade in 2018 - What's Ahead?, Webinar (April 19, 2018). Presenters: Michelle J. Linderman and Charles De Jager. "Investigations 201: Protecting the Attorney Client Privilege in Cross-Border Investigations," Crowell & Moring Webinar (September 26, 2017). Presenters: Janet Levine, Michelle J. Linderman, and Gail D. Zirkelbach. "What Lies Ahead for Brexit?" Crowell & Moring's International Trade Law (January 18, 2019). Authors: Michelle J. Linderman and Elena Klonitskaya. "EU Announces Plans to Mitigate the Impact of U.S. Sanctions on Iran," Crowell & Moring's International Trade Law (May 18, 2018). Authors: Michelle J. Linderman and Alex Rosen. "U.K. Revises Value of Suspected 2017 Sanctions Breaches From £117 Million to £1.4 Billion," Crowell & Moring's International Trade Law (February 22, 2018). Author: Michelle J. Linderman.